The LA Kings and AEG announce the launch of LA Kings Fans, a new social network app on Violet. LA Kings Fans will host exclusive team content and serve as a platform for Kings fans from all over the nation to connect. It can be downloaded on iOS, Android or accessed online. As the LA Kings catapult from a successful regular season into the playoffs, the app will provide fans the official central home for everything LA Kings. Get ready for exclusive official content from the team and the players as well as the opportunity to connect with other fans, and share stories. 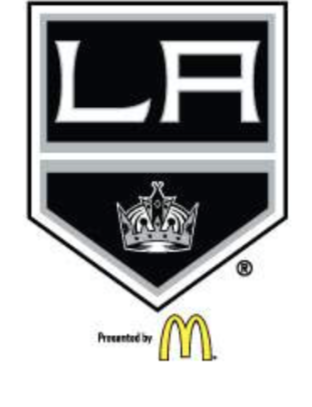 Photos and videos will be continuously posted by the LA Kings, with familiar faces such as the LA Kings Ice Crew and mascot Bailey posting behind-the-scenes snapshots. Proprietary technology innovations such as Capsules create a more direct and meaningful social media and mobile experience for fans with the team and players. The social app also extends the incredible in-stadium experience to fans at home and around the world everyday. LA Kings Fans is part of Vixlet, a Los Angeles-based social network that connects people to their passions. LA Kings Fans is available for fans to download immediately on the App Store and Google Play. Empowering the next generation of fan experiences, Vixlet is a social network that connects people around their passions. Vixlet delivers unprecedented engagement across all channels with the sports teams, artists and brands fans love. Transcending age, gender, socioeconomics and geography, passion for sport, music, art and culture is what brings Vixlet users together, and makes Vixlet the social network of tomorrow.